Your Pathway to Country Living! Tacoma Land Company has guided thousands of people to the perfect piece of rural acreage since 1873! 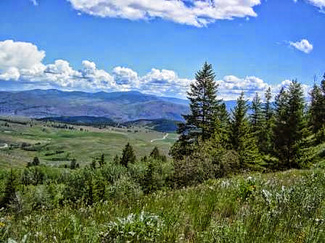 We develop and sell large acreage property throughout Eastern Washington with land for sale in Okanogan, Ferry, Stevens, and Lincoln county. Over the years, we have developed a diverse selection of properties. Whether you need a place to hunt, camp, live off-grid, vacation, retire, or just get away, we can help. What separates us from the competition is our ability to offer affordable seller financing for the vast majority of our land for sale. We also tour the property with you pointing out the boundary lines and answering your questions. Give us a call today 1-800-422-6009 (US) or 253-383-4055 to learn more about our current listings!